Britannica School: A reliable, authoritative resource for information. Lesley Harrison, Librarian, Information and Archive manager at St Helen’s school in Middlesex, tells us about their experience with Britannica School. We identified that needed a reliable, authoritative resource for information which could be used by all year groups within the school, for research. 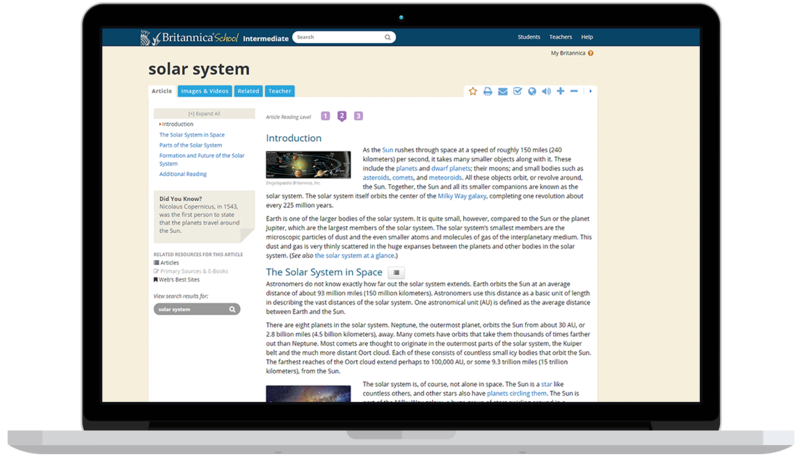 When we were looking for a suitable resource, Britannica’s differentiated learning stood out for us, as well as the huge range of content that is available. Also, the ease of access is a great benefit for us, and the cost was very reasonable. We have found Britannica a very easy and useful tool to aid our students learning. It is easily accessible though our VLE and can be used across the school from our Junior School students to our A-level pupils. It is also excellent as a first port of call and to prevent indiscriminate internet searches.